There’s a lot of stuff in life that seems really, really good on the surface but going a little bit deeper than that reveals that there are hidden costs. Such is the case with scoring a junkyard six speed transmission to swap into your car or truck. Yes, they can be had for cheaper than what a new unit would cost, with regard to initial purchase price but that’s just the tip of the iceberg. From there you have to outfit the thing to work in your vehicle, you have to outfit your vehicle to make the transmission actually fit and mount up, you need to find the proper shifter placement, the proper way to drive the speedometer, and the list goes on and on and on. 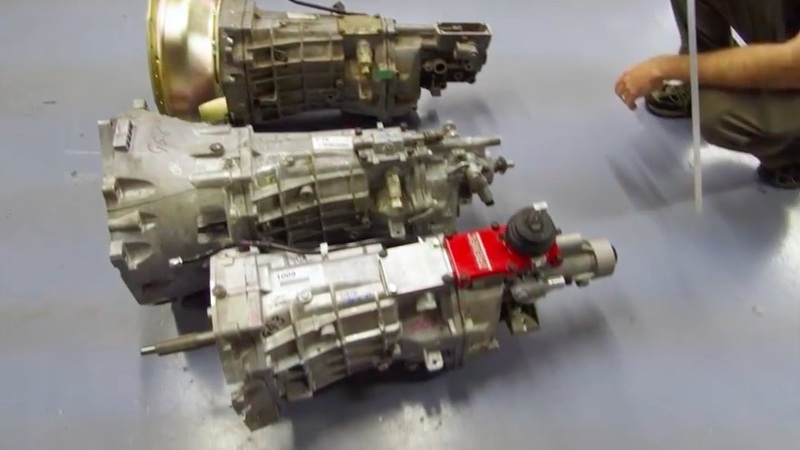 In this video Robert from American Powertrain walks us through a couple of junkyard six speed transmissions and shows us the upsides and downsides of them in terms of being used as a swap candidate. A lot of time and energy goes into developing the product line that American Powertrain has developed over the years. Listening to their customers and solving the problems that hot rodders were having with overdrive swaps has been a hallmark of the company’s history. Bottom line? Their stuff fits. So check this video out and learn something about junkyard six speeds and which ones NOT to buy! 2019 Grand National Roadster Show Gallery: Paint, Chrome, Blowers, and More From SoCal RacingJunk: This 1950 Plymouth Business Coupe Has A Big Blown Hemi Engine! I see what you guys are getting at . A store bought ” bolt in “unit is always a great idea. But I think this guy is more sales man than anything else. I get his side of what he is talking about. However putting the “wrong” trans behind the “right” engine . most likely started with putting a Lasalle trans behind a Ford flathead V-8. The shifter location ,no biggy. Ever see the shifter in a Cobra. they lean twards the dash ,not the seat. I would love to use a ” bolt in” on my project I am putting together. I would like to order a bolt in 6 speed for my 1967 dodge D-200 4 door pickup with a big block in it ,please . A junkyard bought 6 speed? Tell me where you can find one and I’m there! Never seen any car ever with a 6 speed manual in a junkyard.